Westpac Banking Corporation in Sydney and Hobart. 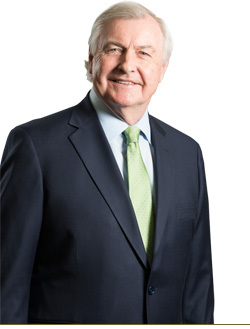 Tim spent a decade with Westpac before joining broker HM Bates Australia in 1976. He spent 12 years there, working in Adelaide and Sydney, the final three as director of group corporate services. Tim joined JMD Ross in 1988. Tim was invited to join HM Bates Australia by one of its directors and the timing was right to take on a new challenge. Tourism and travel. A client in the tourism sector introduced JMD Ross to the Australian Tourism Export Council, the peak body in Australia for inbound tourism, and together we have formed a strong alliance adding value to their membership. Our business is about providing advice that assists JMD Ross clients in the understanding and transfer of risk. My motivation is to provide worthwhile advice. Golf, photography, rugby union and collecting vintage fountain pens.